My sister, Katrina is one of the most creatively gifted people I know. I'm pretty good at imagining something beautiful or cool, but she can actually draw or design her cool and beautiful ideas! She created my logo and my husband's logo for our home inspection business as well! I'm very proud of her for graduating with her Bachelors in Graphic Design and Illustration from NCAD (Northwest College of Art and Design) just this last summer. Her heart to help the needy and be friends with the lonely in inspiring. If you want to check out more of her designs or hire her to do some graphic design work, check out her Instagram: @katrinajunio. 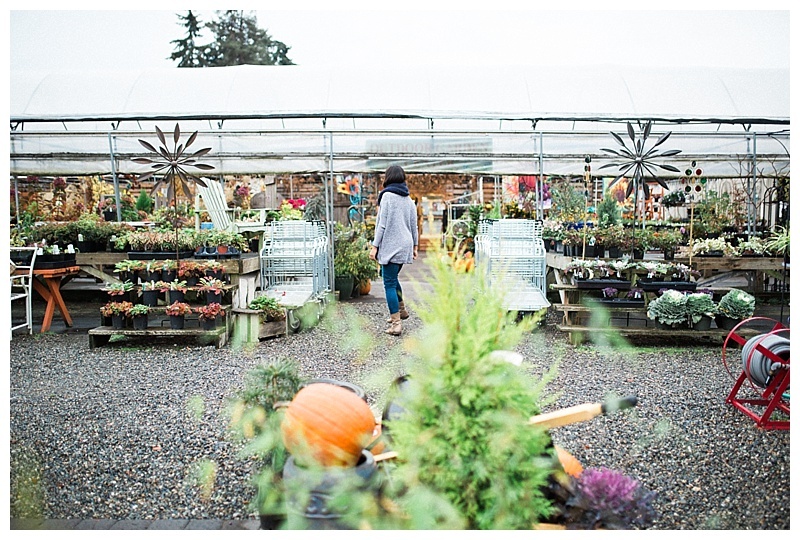 We quickly drove to a local greenhouse, Branches Garden Center , to get some head shots for Katrina and we got lucky because it stopped raining as soon as we got there!